Sean focuses his practice on insurance defense. He is a seasoned lawyer with over 25 years of litigation experience having successfully defended clients in matters involving claims of professional negligence, product liability, personal injury, trucking accidents and insurance bad faith. He has experience in both state and federal courts and has tried at least 20 cases to verdict over the course of his career. 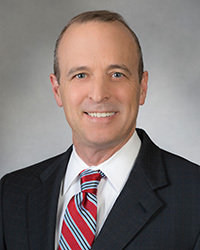 His broad experience in advising and representing doctors and healthcare providers, as well as trucking companies, insurance carriers and corporations provides a solid background for a successful defense. When he is not working, Sean spends time with his family and enjoys camping, backpacking, hunting, fishing and running.